Angelina Jolie is thought to be one of the most beautiful women in the world. A great example of that is as she was out on meeting in Los Angeles on Thursday. She was wearing a black outfit that included a skimpy black camisole with a black cardigan over it. She also showed off all of her tattoos at the premiere of Dumbo this week. She has a lot of tattoos like one that has a Tennessee Williams quote, a Buddhist prayer and geographical coordinates of where her children were born. 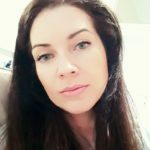 She also had a tattoo of dragon and the name of her ex-husband Billy Bob Thornton on her shoulder, but since the marriage was short-lived she had the tattoo erased by laser. The reason for removing it was that she had moved on, the geographical coordinates was the tattoo that it was replaced with. 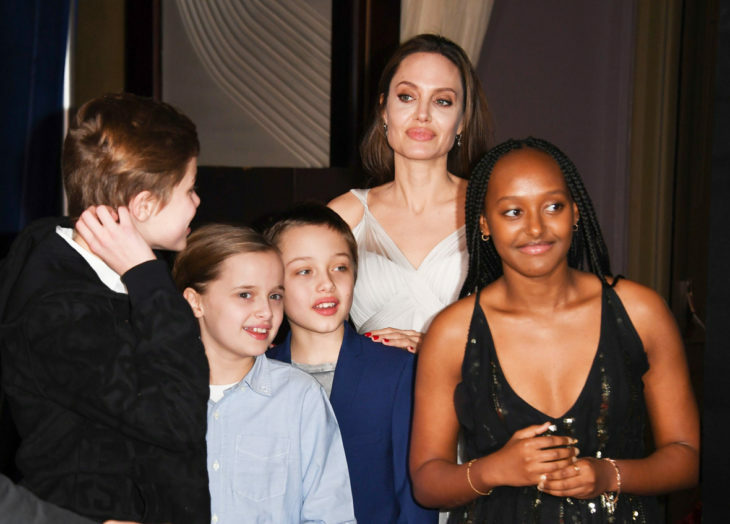 Angelina was breathtakingly beautiful on the red carpet, but the main focus were her kids, Knox and Vivienne who are 10, Shiloh who is 12 and Zahara who is 14. 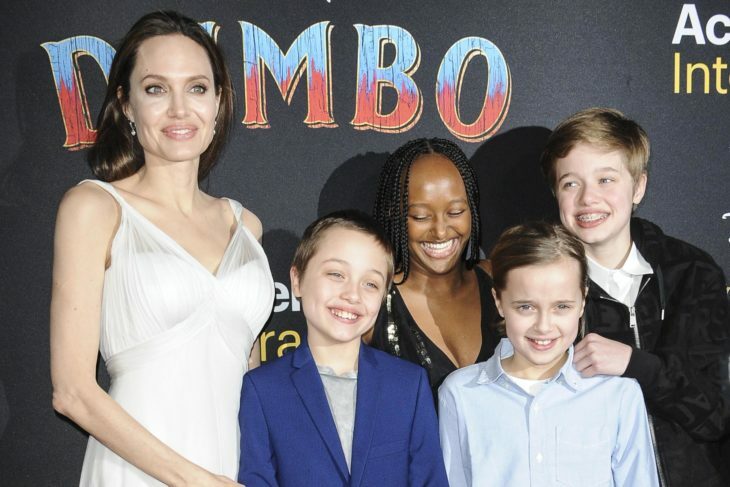 Angelina doesn’t have role in Dumbo but Disney fans can watch her in Maleficent: Mistress of Evil, which should be released next year. The Dumbo live-action also has a couple of stars in it lie, Danny DeVito, Colin Farrell and Michael Keaton. The movie follows two kids who take care of a young elephant which has very big ears until they discover he can fly. The director of the movie is Tim Burton and releases on March 29.